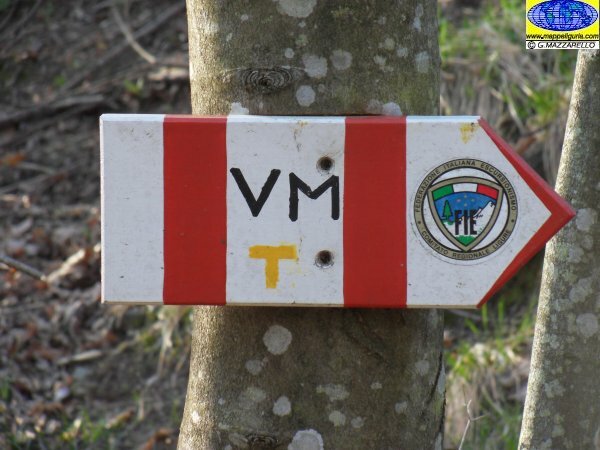 Questo � un ampio itinerario ad anello che contorna tutta la testa della Val Lemme raggiungendo lo spartiacque tra Piemonte e Liguria. This is a wide loop route that surrounds the entire head of the Lemme valley reaching the watershed between Piedmont and Liguria. 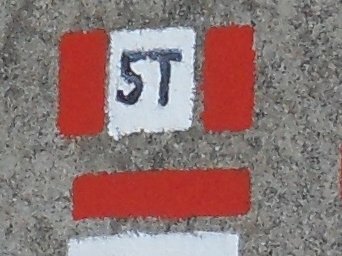 Dall�uscita del casello di Busalla dell'autostrada A7, oltrepassiamo Busalla e presso Borgo Fornari deviamo a sinistra per il Passo della Castagnola. 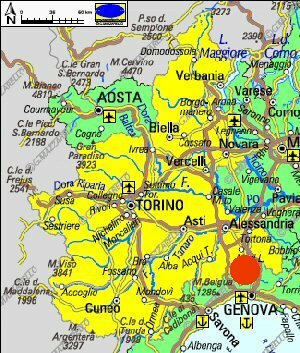 Superato il passo scendiamo a Voltaggio e raggiungiamo la zona dei campi sportivi, dove lasciamo l�auto. From the A7 motorway exit of the Busalla, we pass Busalla and at Borgo Fornari we turn left to the Passo della Castagnola. After the pass we go down to Voltaggio and we reach the sport area, where we leave the car. Da primavera fino ad autunno inoltrato. From spring to late autumn. E' un percorso quasi totalmente ciclabile tranne circa 1 km di discesa su pista forestale profondamente scavata dall'acqua. L�impegno fisico � da considerare medio. Il dislivello non � eccessivo, e si effettua tutto su strade asfaltate e strade sterrate sempre ciclabili. It is an almost completely cycle path except for about 1 km of descent on a forest track deeply dug by the water. Physical effort is to be considered average. The difference in height is not excessive, and everything is done on paved roads and dirt roads that are always cyclable. The practicability of any MTB route is very subjective and depends on training, individual technical skill and on ground conditions. In general, however, a reasonable workout and a minimum of technical skills is required. Those who practice MTB do it on own risk. Along challenging or dangerous path it is better not to risk it and proceed on foot with hand bike. 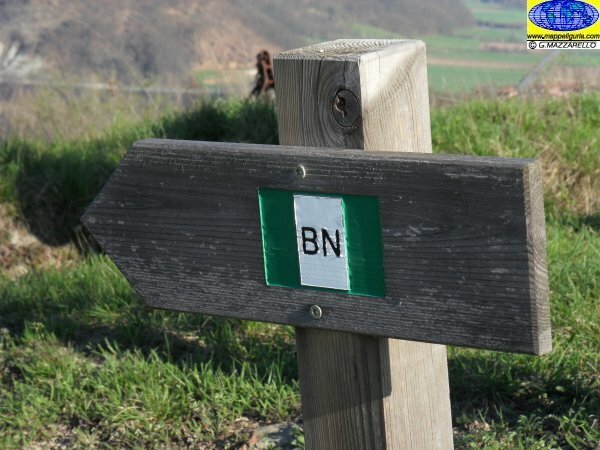 Along all foot-paths, trails and dirt roads, and in general along all paths, it is recommended to give absolute priority to all hikers and pedestrians. The author disclaims all responsibility for any accidents that may occur. 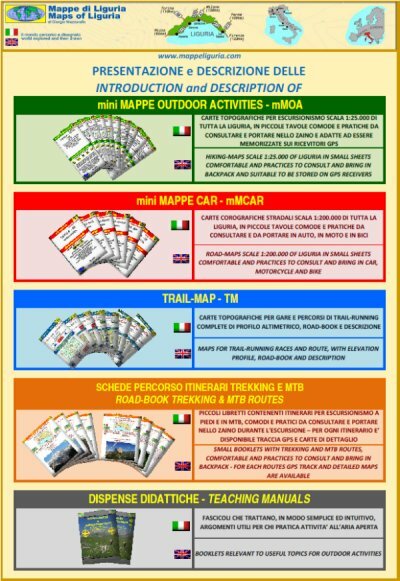 Chiunque desiderasse avere maggiori informazioni su questo itinerario, mi puo' contattare.